Orbital Sciences‘ Cygnus cargo spacecraft has delivered science, supplies and spacewalking payloads to the International Space Station under a $1.9 billion NASA resupply services contract. SS Janice Voss was launched aboard an Orbital Sciences-built rocket from NASA’s Wallops Flight Facility in Virginia and the Expedition 40 crew received the nearly 3,300 pounds of supplies at the ISS, NASA said Wednesday. A robotics officer at the mission control center in Houston operated a Canadarm2 robotic arm to grapple Cygnus and bring it to its berthing place on the Harmony module. Commander Steve Swanson also worked to control the robotic arm from a workstation inside the ISS’ cupola. Flight Engineer Reid Wiseman will pressurize the vestibule connecting the cargo spacecraft to the Harmony module before the outfitting stage for Cygnus on Thursday. 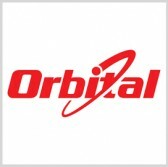 The Orbital-2 mission is scheduled for completion in August and Orbital Sciences is set to launch more than eight cargo spacecraft to ISS through 2016.